The Crazy Cool Yo-Yo Crochet Afghan is a classic pattern with a modern twist. With the circular motif based off the popular yo-yo quilt design in sewing; this crochet afghan comes to life. 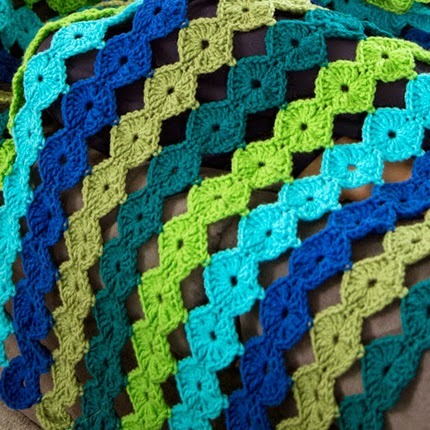 Easy and fun, there's really nothing not to love about this crochet afghan. Choose bright and bold colors, like the green and blue pictured, and this vintage-inspired pattern will turn into a modern-day throw. Or keep it monochromatic for a more vintage look. Either way, this crochet afghan can easily fit into a contemporary or vintage home.